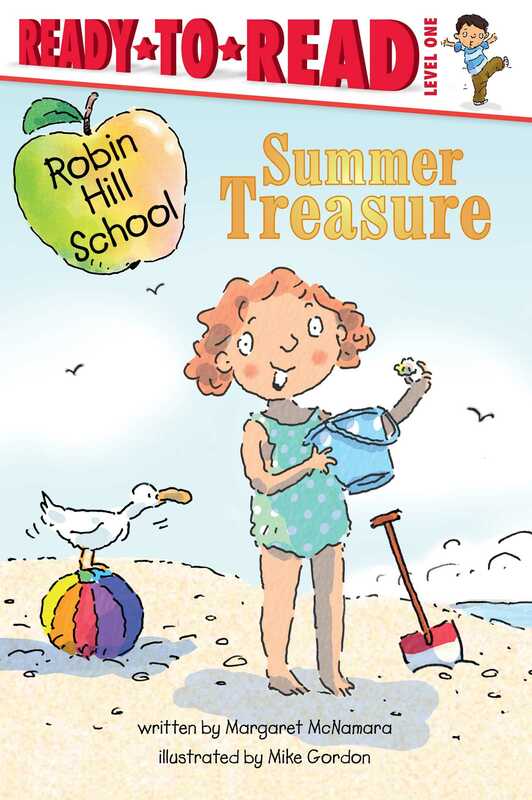 A Robin Hill School first-grader gets a summertime surprise in this sunny Ready-to-Read! Since it’s summer, instead of attending Robin Hill School, Hannah gets to do other fun things, like go to the beach with her family. Imagine her surprise when she sees her teacher, Mrs. Connor! In a bathing suit! Turns out, teachers don’t live at school—and they are just as friendly outside of the classroom. Together, Mrs. Connor and Hannah look for treasure on the beach and share a beautiful summer day.